The US Supreme Court declined to intervene in a long-running battle between a US and Cuban company over the Cohiba cigar trademark. By refusing to hear an appeal, the country's highest court leaves intact a ruling in favor of the Cuban firm. Due to a US trade embargo with Cuba, Cubatabaco cannot sell its Cohiba cigars in the United States while they are sold worldwide and in Cuba. 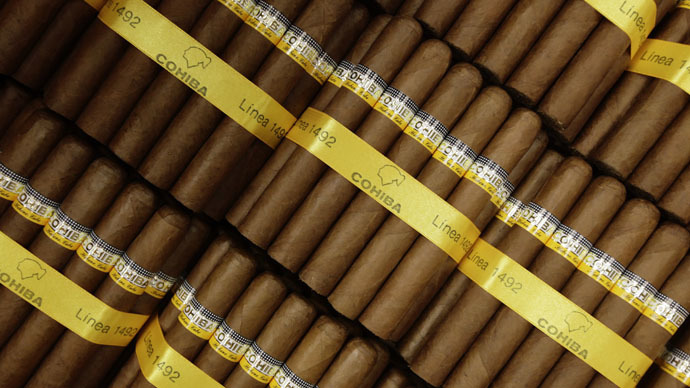 US company General Cigar sells its Dominican Republic-produced Cohiba cigars in the US. The legal dispute is over whether the Cuban company has to the right to challenge General Cigar’s trademark in the US, despite the embargo, as reported by Agence France Presse. General Cigar obtained a US registration for Cohiba in 1981 and a second registration in 1995. Cubatabaco had the trademark registered in Cuba in 1972. In the late 70s, it began registering the logo outside Cuba – in 115 countries – but was prohibited from selling merchandise in the US by the Cuban Assets Control Regulation (CACR). In the case, Cubatabaco argued the CACR not only prevented the company from selling in the US, but also prevented it from challenging General Cigar's registrations. In June 2014, the US Court of Appeals for the Federal Circuit ruled in favor of the Cuban company by giving it standing to seek a cancelation of the registrations that block its own ability to register trademarks. The case will now move forward to the Patent Trial and Appeal Board. The challenge comes two months after President Obama announced in December that he planned to loosen some of the US-Cuba restrictions, including the easing of the decades-long trade embargo. Under an easing of travel restrictions between the US and Cuba, American visitors will be able to buy up to $100 worth of cigars and bring them home.